Two more lovely Cosmo dresses to share today! Marleen (from Petrol + Mint) and Dusty (from DooLittle Designs Co) are sharing their gorgeous dresses! During the tour, you can receive a 15% discount on the Cosmo pattern with the code COSMOTOUR. Apply at checkout HERE! Available in English and Dutch. Do you need another incentive to buy the Comso dress pattern? Well make sure to follow me on Instagram because I have a fun giveaway going on over there too! 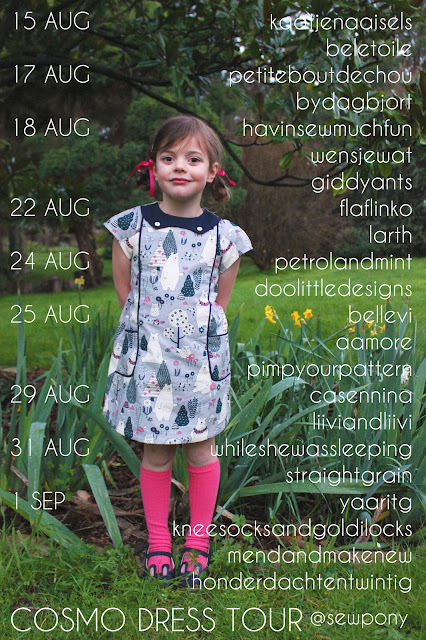 Win 1.5metres of Cotton and Steel fabric, piping and exposed zip! Simply tag your Cosmo dress with the hashtag #cosmodresspattern by next Friday 1st September to have a chance at winning! Marleen from Petrol + Mint is a long time blogging friend of mine and I am huge fan of her beautiful work! She sews for her three daughters and also for herself and has amazing style and makes everything look great! She has helped me in the past with pattern testing and has also participated in a few of my blog tours and I am always appreciative to have her on board! 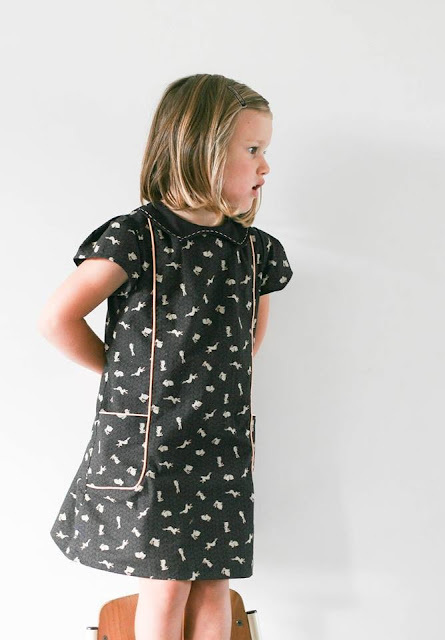 She sewed a gorgeous black print Cosmo with sweet stitching on the collar! I can't wait to see more! I found Dusty from DooLittle Designs Co when she entered my Dressed in Sewpony sewing contest. She made four gorgeous Juliette dresses for her girls and they were just stunning! So when she signed up to help with testing the Cosmo dress for her youngest daughter, I was really excited! She lives in America and loves to sew for her three beautiful daughters. 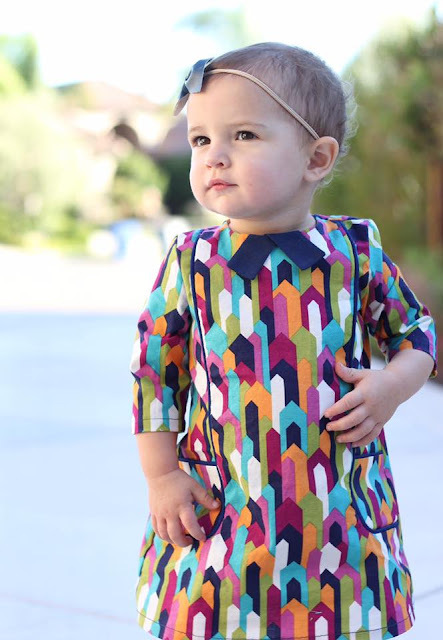 I am always excited to see how my patterns sew up for the youngest wearers and Dusty's daughter looks so delightful in her little dress! Thank you Marleen and Dusty! Your dresses are stunning! Come back tomorrow for more Cosmo fun!